When you think you’re pregnant, you want the news to be confirmed as quickly as possible. To do this, there are a number of tests available at the pharmacy. So, how does one make the right choice? What does the pregnancy test consist of exactly? A pregnancy test can be a source of joy for some and of anxiety for others. Trivial in appearance, it offers important information, and using it properly helps you obtain a clear answer to the big question that’s on your mind. This article deals with some of its basic aspects. Speak to your pharmacist for additional information. Pregnancy tests found at the pharmacy are small devices that detect the presence of a hormone called human chorionic gonadotrophin (hCG) in the urine. The embryo, formed by the fertilization of the egg by the sperm, secretes this hormone. After a certain length of time, a sufficient quantity of this secreted hormone can be detected in the urine. Urine pregnancy tests take the form of a test strip (usually attached to a stick) equipped with special markers that react when put in contact with urine, and indicate whether or not hCG has been detected in just a few minutes. The test result is shown by various types of indicators (a plus sign “+” or a negative sign “-“, or a colorimetric bar, for example). How long should I wait before doing the test to have an accurate result? Most tests are designed to detect the presence of hCG starting the first day of your missed period. However, some tests can detect it up to six days prior to the start of your expected period. Most women wait until their period is late before doing the test, to avoid unnecessary testing and to improve test reliability. Which of the tests available on the market is the most reliable? To choose the test that best suits your needs, speak to your pharmacist. Choose the test that you like best and that seems easiest to use. If the test is negative, can I rely on this result? Despite the fact that they are very reliable (more than 98-99%), pregnancy tests can sometimes indicate that you are not pregnant even though fertilization has taken place. This is what is called a “false negative”. If the result is negative, you should have your period as usual. If this doesn’t happen, redo the test. If you obtain several negative results, but you still haven’t had your period, consult a health professional. Don’t do the test before the recommended time by the manufacturer. Be sure to follow the user instructions. Do the test using first morning urine. Don’t drink a lot of liquids before doing the test. If the test is positive, can I rely on the result? 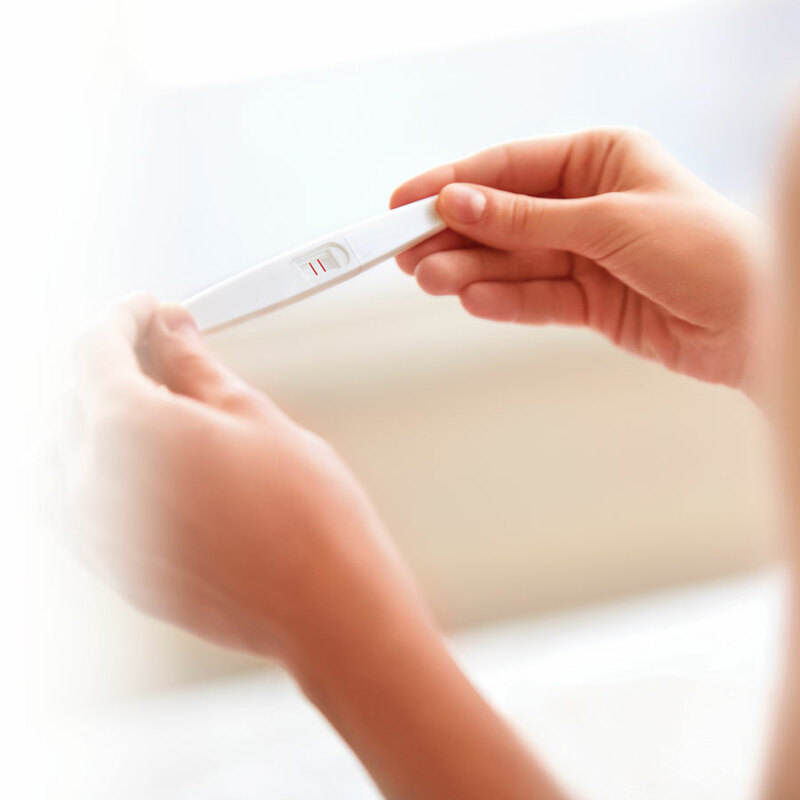 It is also possible to obtain a “false positive”, that is, a result indicating that you are pregnant when fertilization has not taken place. However, this is very rare. If you get a positive result from a urine test, you must then confirm this result with another test just the same, such as with a blood test. You must consult a doctor or go to the hospital to have this test done. Urine tests are made to detect pregnancy, but they are not intended to make a definite diagnosis. If the test is positive, what will be the next step for me? If the test is positive, it is important to make an appointment with a doctor. They will be able to confirm the pregnancy diagnosis and estimate the date of birth. Moreover, they will do an exam and explain the medical steps that will follow in the next few months. A prompt consultation is ideal so you can adapt your lifestyle at the appropriate time and take the necessary steps for a healthy pregnancy. If you don’t have a doctor or gynecologist, contact your CLSC to ensure a medical follow-up as soon as possible. Remember that your pharmacist is there to answer your questions concerning medication and health throughout your pregnancy. Don’t hesitate to consult them as much as you need to! Their knowledge and accessibility are a precious resource during this crucial time in your life and your baby’s.